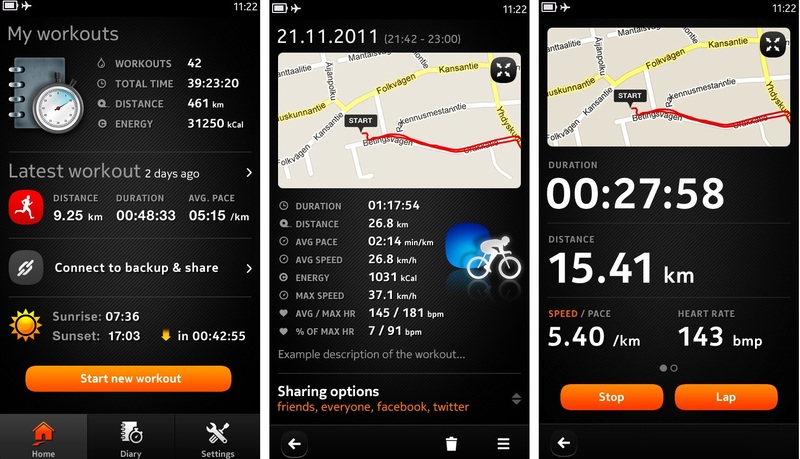 Sports Tracker coming to Nokia N9 MeeGo-Harmattan. Back in July, we showed you a sports-tracker like app for N9 called eCoach. The official sports tracker is coming to N9 and its looking great. It’ll have the features you’ve come to expect from sports tracker, and will even be compatible with the heart rate monitor. Expect it to appear in November. « Linux Lives at Nokia. Project Meltemi to power future Nokia feature phones? MeeGo Lite?